KAPALUA, Hawaii – On the golf course with the widest fairways on the PGA Tour, Zach Johnson believes that keeping the ball in the short grass is key to success. On a course that favours power players because the par 5s can be reached in two, Johnson didn’t make birdie on any of them Saturday. Stranger still is that he matched the best score of the day and had a three-shot lead in the Tournament of Champions. The only explanation is that Johnson is playing some pretty good golf. Defending champion Dustin Johnson birdied half of the holes at Kapalua for a 66 and was three shots behind, along with Matt Kuchar (68) and Jordan Spieth (70). Zach Johnson was at 13-under 133. Dustin Johnson approaches the Plantation Course differently. He birdied all the par 5s with his length, and only fell back with a pair of bogeys on the back nine when he missed short putts. Even so, he was in good position heading into the final two rounds of a tournament that ends Monday. So what does Zach Johnson make of that outlook? “I would say I’m up by three gross, and by eight or nine net, based on that rationale,” he said. Clearly, there’s more than one way to get around a course built on a side of the mountain on the west end of Maui. Kuchar had his second straight round of 68 with some good birdies and a few bogeys. Spieth had said he shouldn’t make too many bogeys on this course if he kept it in play, though he made one on No. 7 to lose some momentum. Even so, the 20-year-old Texan had few complaints after his opening two rounds of a new year. Webb Simpson and Michael Thompson, part of a four-way tie for the lead after the opening round, each had a 71 and were four shots behind. Masters champion Adam Scott, who can get within range of No. 1 in the world depending on his two weeks in Hawaii, had a 70 and was seven shots behind. The Australian was in dire need to a low round to at least have chance going into Monday. Zach Johnson is going after his second straight win. The last one was unofficial, yet no less memorable. Johnson was four shots behind Tiger Woods in the World Challenge on the back nine and rallied to catch him, holed out from the drop zone on the 18th hole to force a playoff and then won on the first extra hole. Except for his Masters win in 2007, it might be the most famous of his 11 victories worldwide. Dustin Johnson has the power that is suited for Kapalua, and even though he had to withdraw from the pro-am with a sore neck, he appears to be hitting his stride. 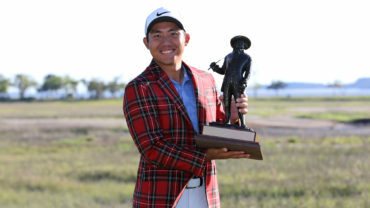 He twice had a batch of three straight birdies on the front nine to go out in 30 and claim a share of the lead, and even after missing the short putts on the 11th and 13th, he made three more birdies in the final five holes. Two of them were par 5s. Both times he had a look at eagle, missing from 20 feet on No. 15 and becoming the first player all week to reach the 689-yard, downhill closing hole in two shots. He two-putted from about 35 feet for one last birdie. That could be attributed to a slightly more typical trade wind, though Johnson still had to give it two pretty good pops with a driver and a 3-wood. 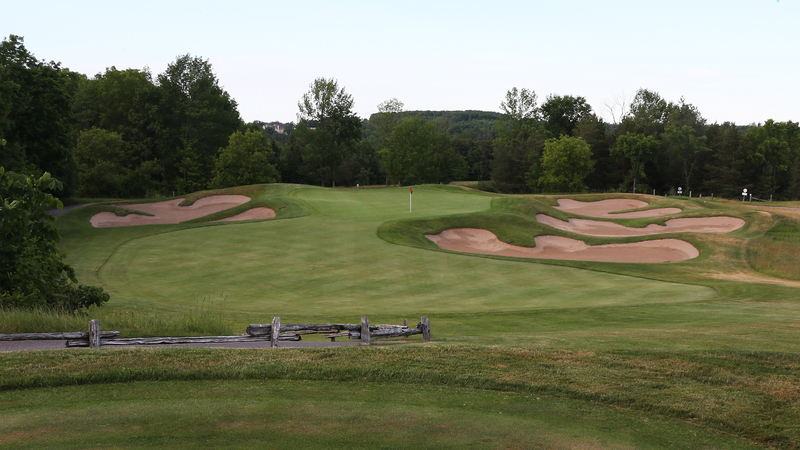 The course played about a stroke harder than the opening round. 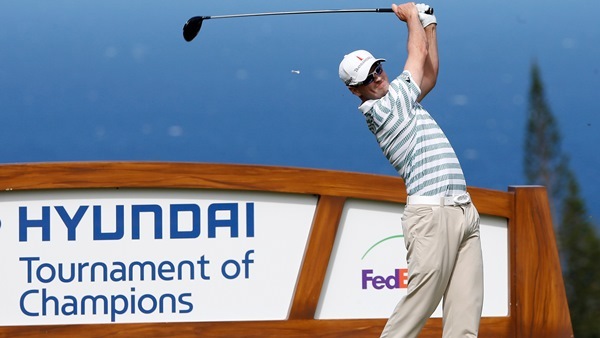 Zach Johnson is starting his 11th year on the PGA Tour. He has won a major (Woods tied for second), played on three Ryder Cup teams and knows his limitation. He said while in awe of what Woods can do, he is past the stage of intimidation. And the same goes for Dustin Johnson.